Are Micro Mission-Critical Data Centers the Future of Business? – Synivate, Inc.
Are Micro Mission-Critical Data Centers the Future of Business? 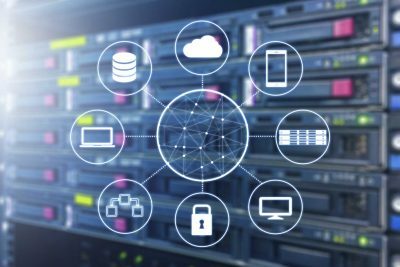 The latest technology trends show edge computing and micro data centers are beginning to replace “old-fashioned” server rooms nationwide. However, learning how to effectively manage these systems needs to be a top priority to improve IT performance for businesses. Industry experts believe that this is an excellent opportunity to move to a cloud-architecture and utilize 5G and artificial intelligence to make it more manageable. There are still many challenges that must be worked out for this trend to become a reality. Do you like to be a leader instead of a follower? Are you looking for innovative technology solutions that you can put into place right away to help grow your business and take it to the next level? At Synivate, we feel the same way. We offer our clients a wide variety of services designed to help them meet – and sometimes exceed – their technology goals. Our mission is to deliver powerful, workable solutions for our clients’ technology and communications gaps while providing unmatched customer service and support. Our team of highly trained and experienced technicians works to integrate IT and Communications solutions in a convenient, all-in-one service. We are committed to delivering best-in-class data systems to provide you with the edge you need in today’s competitive business environment. Whether you want to learn more about edge computing and micro data centers, or if your goal is to move to an IT software platform to improve IT performance across the board, our team can help. We specialize in Voice/IT systems design, implementation, and support. Our technicians can integrate these services to make it easier for our clients to stand out from the crowd. Customer service and innovative solutions are our top priorities. We can come to your Greater Boston business to evaluate your needs and provide you with the best, most customized solution possible. Whether you have heard the term or not, edge computing has become a real “thing” in the world of technology. In the simplest of terms, edge computing is computing that is done at or near the source of the data. The computing does not rely on the cloud to do all of the work, but this does not mean the end of cloud computing. In fact, what it means is that edge computing is bringing the cloud to you. Some of the benefits associated with edge computing include latency, increased privacy, better management of Internet of Things (IoT), and improvements to security. However, concerns about edge computing and the increased control that the average consumer would be giving to the companies that operate the devices in their home, such as Google, Amazon, Microsoft, and Apple. However, what this means to the business world and how it could be used to your advantage depends on the industry that you are in and the goals that you have for the future. Your best bet is to work with the technicians at Synivate to find out if edge computing and other trends are right for your unique situation. What are Micro Data Centers? The best way to describe micro data centers is that they are scaled-down and containerized data centers that can be designed specifically to take on specific types of workloads or to solve different sets of problems that cannot be solved with a traditional data center. The set-up for micro data centers typically includes less than ten servers and 100 virtual machines. All of the elements that you would expect in a traditional data center are found within the container of micro data centers, including board cooling, uninterruptible power supply, and security. Micro data centers are pre-built and pre-integrated, which means that they can be quickly and easily added to an existing data center. They can also be used in remote locations or high-risk areas, as their enclosures are standardized and designed to stand up to harsh weather conditions. They boast a small footprint and are extremely versatile. The current demand behind micro data centers has to do with the growth of Internet of Things (IoT) and mobile devices. Micro data centers can optimize the usefulness and performance of IoT and mobile devices that rely on the cloud. Whether edge computing or micro data centers seem to fit the needs of your growing and expanding business or not, Synivate can provide you with other tools, equipment, software, and services designed to improve IT performance. Managed services, IT software platform upgrades, and network security are just some of the services we provide to our clients. Custom off-site backup solutions for the highest level of data protection, business continuity disaster recovery plans, and 24/7 monitoring services can also be offered as solutions. Contact our team at 617-517-0704 to get a FREE IT assessment or to schedule a consultation.